Mike Boone with a boot on his left ankle. Greased goalposts ready to celebrate a win. A 4-point favorite in Vegas. Special grey Adidas uniforms. Popped collars. Hairspray. Hair gel. Range Rovers. Below average beer pong skills. J Crew’d students in attendance, for probably just this game. Love and Honor. An angry Redhawk squad ready to snap the 11-game UC win streak. Gus Ragland at QB – a competitive, savvy player passed over by everyone, including Cincinnati, out of our own backyard, Moeller High School. A Bearcat hangover after playing their hearts out at Michigan. And last, but not least, a wide receiver group who struggled to hang on to even the easiest of catches. The stage was set for a sad ending in Oxford. Recap Of A Crazy UC Win. Miami with unbelievably poor clock management in the final two minutes. Quite frankly, I don’t know what was worse – the television announcers or Chuck Martin’s game plan in the final minutes. A flag for blatant pass interference by Coleman in the end zone was picked up and withdrawn, which would have given the Redhawks the ball on UC’s 2-yard line. Maybe a make up call for the earlier targeting call, UC got away with highway robbery toward the end of the game in Oxford. Someone call the Butler County Sheriff. Make it 12 in a row for UC. The Bearcats secure the Victory Bell in the 122nd rendition of this rivalry. TWELVE in a row. The Glass Is More Than Half Full. Hayden Moore threw a couple picks, including a costly one in the end zone. Gray with an awful drop on a go-ahead touchdown. Lewis with more drops following the Michigan game. The offense is far from where it needs to be. But this team does not quit. At no point did UC throw in the towel. Tuberville would have all but packed up and got on the bus after halftime last year. The Fighting Fickells are different, way different. Fight to the finish. Never give in. Words of the UC fight song are taken to heart this year by each and every player wearing the red and black. While the UC offensive woes continue, the Bearcats defense is a sight to watch. Sound tackling. Aggressive pass rush. Stepping up when needed the most. Coach Fickell’s defensive prowess is shining through already. Even if Boone is out for the year, true freshman Michael Warren, II and redshirt freshman Gerrid Doaks will supply a young and fun to watch ground game. Yes, they are freshman and pass protection will need to improve, but these guys can run. And they can do so for the next four seasons starting now. I could go the rest of my life without ever watching another NFL game, let alone a Bengals game. Yet when it comes to college football, I can’t imagine going one magnificent Saturday without it. I plan my year around it, my work calendar, my vacations schedule – my life. I have missed weddings, skipped birthdays, cancelled dates, called in sick, and played hooky. Whatever it takes. An American love affair. My mistress. She gets me. College football is tradition + pageantry + magic. A spectacle on every level. The fans. Tailgating. The architectural wonders of stadiums. The bands. The trophies. The cheerleaders. The list goes on. It makes your heart race, can cause euphoria or equally force you into tears at any given moment like your girlfriend who dumped you in 8th grade. It’s the closest thing we have to recreating the ancient events transpiring in the Roman Colosseum. It’s last Saturday in the Big House. It is face paint, pompoms, cheering, dancing, making your own sign, and traveling across the country. It is Appalachian State. It is UC coming back in unheard of fashion in a blizzard to beat Pitt in 2009. It is Reggie Bush. It is Mardy Gilyard. Comebacks, letdowns, upsets – it is unpredictable, yet perfect. It is whatever you want it to be. I could go on and on, but if you’re reading this article, you get it. The first Battle for the Victory Bell was played in 1888 in Oxford. No that is not a typo – we are talking about the first college football game played in the State of Ohio. This game has more history than “the game” played between Ohio State and Michigan. Think about that. No, really take a minute and soak it in. The Miami UC series ranks 2nd on the list of most-played rivalries in college football and is the oldest Division I rivalry west of the Allegheny Mountains. It is the oldest non-conference rivalry in college football. The schools have met every year since 1945. This game is tradition – history before our eyes. I’ve heard the arguments on both sides. Some are of the opinion the Bearcats are “better than” or have “moved past” the Redhawks. It’s a trap game with no benefit. The game does not benefit UC. Why are we playing a MAC team every year? Blah. Blah. Blah. Conferences re-align. Schools change coaches, logos, jerseys, stadiums, and sponsorships. What matters is colleges keep traditions going strong. Players change, but the Battle for the Victory Bell offers fans consistency – something to expect year after year. Campuses separated by just 30 miles with both fanbases decked out in red – the Battle for the Victory Bell is important, dammit. The Keg of Nails (birth: 1929; death: 2013). The Paddlewheel Trophy (birth: 2005; death: 2012). I don’t know about you, but I really, really miss these rivalry games. A hole in my heart that will never be filled. Looking at my replica Keg of Nails given away to fans during the last matchup in Nippert when the fighting Teddy Bridgewaters broke our hearts in OT brings a tear to me eyes. We only look at half of the rivalry. Think of how important it is for the Redhawks to test themselves and fight UC every season. Just as the Bearcats team and fans look forward to playing the OSU’s of the world, Miami looks forward to playing Clifton’s finest. The Redhawks’ roster is filled with walk-ons and players overlooked by the Power 5 and the AAC. The Battle for the Victory Bell is a stage, an annual opportunity – a chance to prove Miami can compete regardless of recruit rankings and scholarship offers. Let’s not lose another one folks. Miami is the only rivalry game UC has left on the schedule in the new-found hodgepodge known as the AAC. Rivalries bring the best out of players, coaches, and fans. Throw the records out. The number of stars Scout gives the players do not matter. Rivalries are college football. The storylines. The history. The tradition. Luke Fickell knows a thing or two about rivalry games and rivalry week, as he discussed during his weekly press conference. Rivalries matter. The Redhawks matter. The Bell matters. Let it ring. The original Victory Bell disappeared in the 1930s. How cool is that? The original bell then magically resurfaced in 1946 and is now on display in the lobby of Miami’s Murstein Alumni Center – call it a participation trophy if you will. The current Bell is a replica, which is quickly running out of room to paint and denote future game-winners, and will likely remain in the Richard E. Lindner for eternity. Mike Bohn and Co. met in a room somewhere over steaks and whiskey with the Miami administration and negotiated the newest contract extension for the series. At least that’s how I imagine this happening. The result? 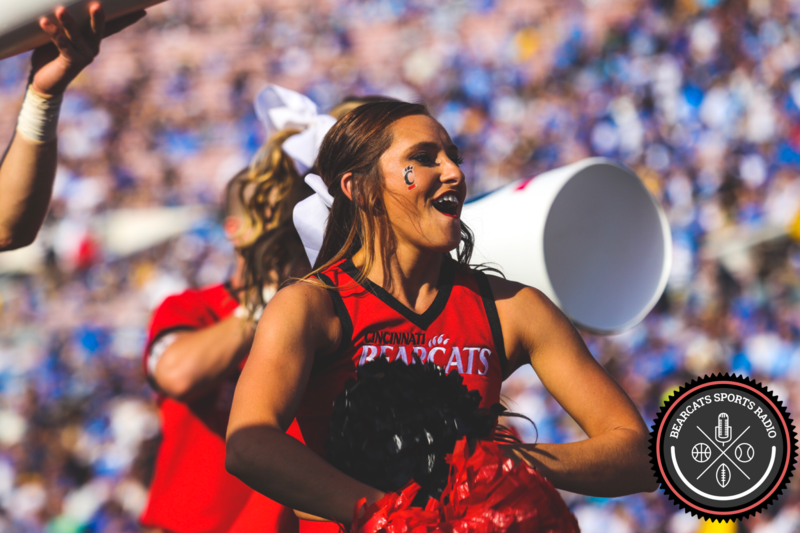 The rivalry continues and UC used its clout to get a few more “home” games at Paul Brown Stadium – a 2 for 1 special, if you will. While I quite frankly hate watching games played off campus, maybe this will bring a spark to increase fan participation in this historic rivalry. Mike Bohn has now kept Mike Cronin in Clifton, hired Luke Fickell, overseen renovations at both Nipprt Stadium and Fifth Third Arena, and extended the Battle for the Victory Bell for 12 more years on UC turf. The dude gets it, and I hope you do as well. Ding ding dong.